2018-2019 Dance Season - celebrating 30 years in business helping dancers make their dreams a reality! Register Online for Summer Dance 2019! I have been at Interplay for 7 years now and I absolutely love it! It has taught me many things, not just as a dancer but as a person as well, and it has shaped how I am today. I cannot thank the teachers enough for how much support they give you as well as pushing you to your limits and beyond. It is incredible how much they care for their students. I am at the studio 5-6 days a week and I can say there is no other place I would want to be; it is my home. The friends I have made at Interplay and PSB (the sister school) are my closest friends and will stay with me throughout my life, as well as the experiences that I have made here. The dance at Interplay and PSB is amazing because it has every kind of dance at every kind of level. 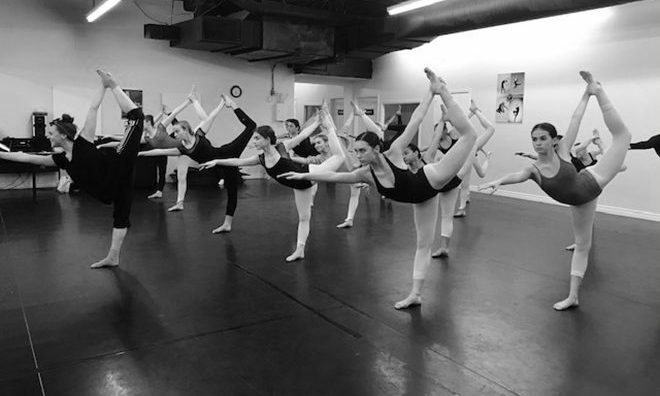 The teachers are always helping you improve and striving for greatness and that is what I love about this studio! The teachers are soo supportive and helpful. They always help me to become better at dance and to become more flexible. The corrections are given in a positive way. I go to class 3 days a week and it’s my favourite part of my day!! I have been a dancer for almost 10 years and with Interplay for 4 years. I’m part of the Intensive program and an apprentice in the company. I love dancing with my friends at Interplay!!! Our daughter has been with a few dance studios in Toronto, including the National Ballet School’s professional program, where upon leaving, INTERPLAY [PSB & INTERPLAY] was recommended to us. She’s now been with INTERPLAY about 4 years and we couldn’t be happier. The staff are deeply devoted to the students, and their ambitions are to be the best. The attention and care they’ve given us has been outstanding, caring for the students emotionally as young artists, as well as technically. The school’s artistic vision is sophisticated and high-minded, while remaining inclusive. The environment is relaxed socially, and we’ve always felt welcomed. 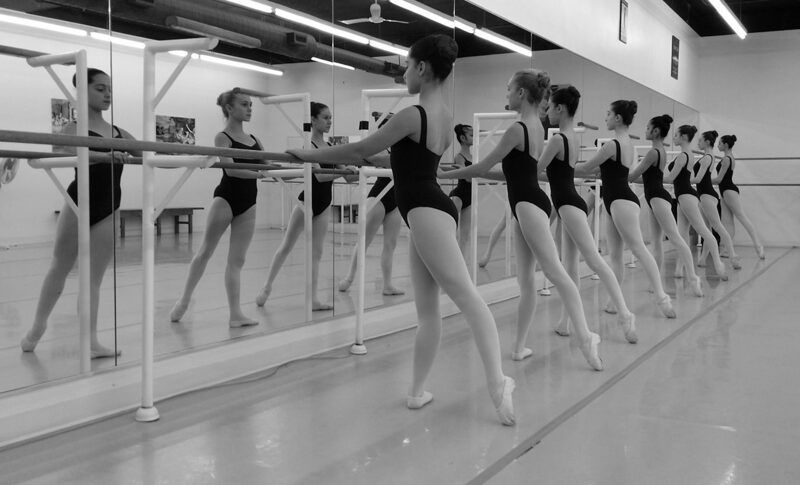 But, when it comes to work, INTERPLAY is definitely a serious dance school where young dancers can prepare for a career in dance, receiving solid fundamentals in technique as well as artistic expression. They can work hard and be fully supported by the staff. The shows put on by INTERPLAY are as enjoyable as they are professionally substantial. I definitely recommend this school to anyone seeking top-notch training in a very inclusive and balanced social setting. Hi my name is Michelle Popelas and I am a mother of two INTERPLAY [now PSB & INTERPLAY] dancers. My eldest daughter graduated this past June and her little sister, Lou who is 11 still dances in the Intensive program 3 days a week. From our long history at INTERPLAY we have found the training to be exceptional and the teachers extremely professional as well as accredited. Under the stellar direction of Karen Davies Thomas, INTERPLAY will always be regarded as our daughters’ second home. It goes without saying that from having our two girls commit to a life of dance the rewards are endless. They have gained a great deal from their rich experiences, a major plus being their long-lasting friendships. We cannot thank INTERPLAY’s teachers and office staff enough for providing such a loving, healthy, and caring environment. Tanya and Ashley in the office always go above and beyond when approached. They consistently provide professional and courteous assistance. We wholeheartedly recommend this dance studio to any family looking to instill a love of dance and wanting a high quality program. Drop in and see for yourself! My name is Ava Berry and I am a recent graduate from Interplay School of Dance (June 2016) [now PSB & INTERPLAY]. I have spent 15 incredible years training at Interplay and was taught by only the best. NOTHING in my life besides my family has had the most significant impact on who I am today. I only look back with fondness, love and extreme gratitude when I think of all my days, weeks, months and years spent training, rehearsing, learning, laughing, all the while dancing to feed my passion for this art. How many dancers can actually say with a full heart that their very first dance instructor when they were 2 1/2 years young was their very last dance teacher that proudly handed them their graduation certificate. I regard myself as the most fortunate of graduates because of the amazing array of character traits that I acquired from all my formative years at Interplay. My awesome and amazing friendships with fellow dancers and teachers are ones that I treasure and adore. These are forever sacred to me. Even as recent as last night I received yet another comment while taking a dance class at a gym and the instructor commented on my strong training. This is a comment that follows me wherever I go and I have all my instructors, especially Lucie Ward, to thank for instilling an early love of dance in me. As a mother looking for the best training for her very passionate dancer, PSB & INTERPLAY kept coming up as the studio I should choose. Rebekah came from a comp studio which focussed on tricks at the expense of technique. Her goal was to get into Canada’s National Ballet School for grade 7. Karen assessed her and suggested the best schedule for her to accomplish this goal. Karen and her staff are simply the best. Focussing on the fundamentals, openness and performance, they transformed Rebekah. In this era of Instagram stars, it’s hard to compete with extreme poses and flashy feet. But that’s not what gets you a career in dance, if that’s what your child wants. Rebekah got into NBS and in our interview we were told we had done rightly by attending PSB & INTERPLAY. Rebekah will be graduating NBS this year, grade 12 and is planning on post secondary training in Europe and hopefully a career in ballet. Slow and steady wins the race. From playing Marie in the Nutcracker when she first got in, to being one of the dancers chosen to perform in the NBoC gala last year, she wouldn’t have achieved her dream without the foundational excellence of Karen’s school. Here’s to continued success for Rebekah! And PSB/Interplay! We ❤️ you all!! I met Karen when starting her own dance school was a dream. My daughter Tanya was 8 years old, had been dancing since she was 3. Karen took her under her wing and introduced us to INTERPLAY where Karen was a dance instructor. In 1989 Karen started her own school and I helped her with the administrative start-up process. Tanya was the first student to register at PSB. Through the years, although Tanya trained in the junior program at the National Ballet School and full-time at the Royal Winnipeg Ballet School for 2 years, she continued to train with Karen. Today, Tanya is the full-time ballet teacher for the Claude Watson Arts Program at Earl Haig S.S. Karen has always been her mentor and Tanya’s teaching and choreography style is inspired by Karen. As for me, I continue to work for Karen as a graphic artist and web designer and we remain good friends. What has made Karen successful is her passion for dance, her devotion to her students, and her highly qualified teaching faculty. She works countless hours. And more than anything, she is a loyal friend. Year End Show Tickets now on sale! 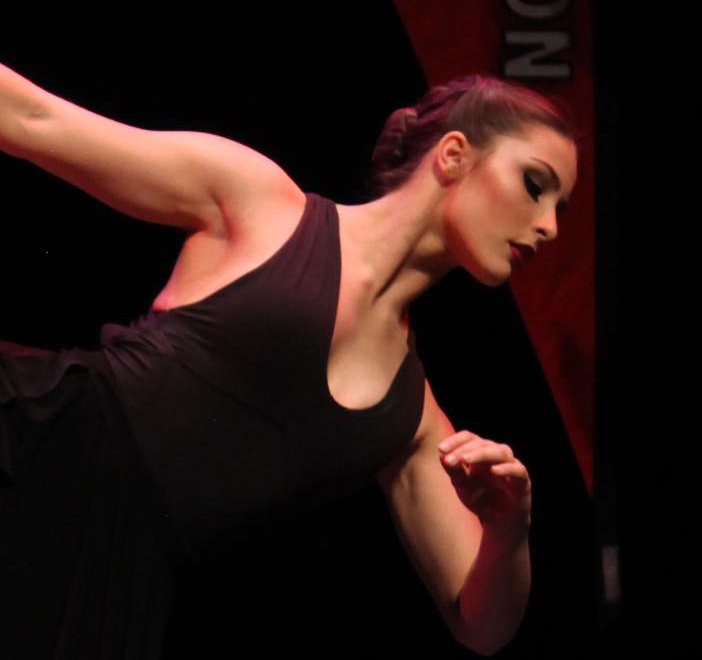 Profile Dance Company and Competitive Division compete in back-to-back competitions! Good Luck PSB & INTERPLAY Dancers at Flying Solo Competition! Tickets on sale for PSB & INTERPLAY Competitive Showcase 2019! Watch our Profile and Interplay Dance Company flash mob video! Join our e-mail list and receive 2 free trial classes!